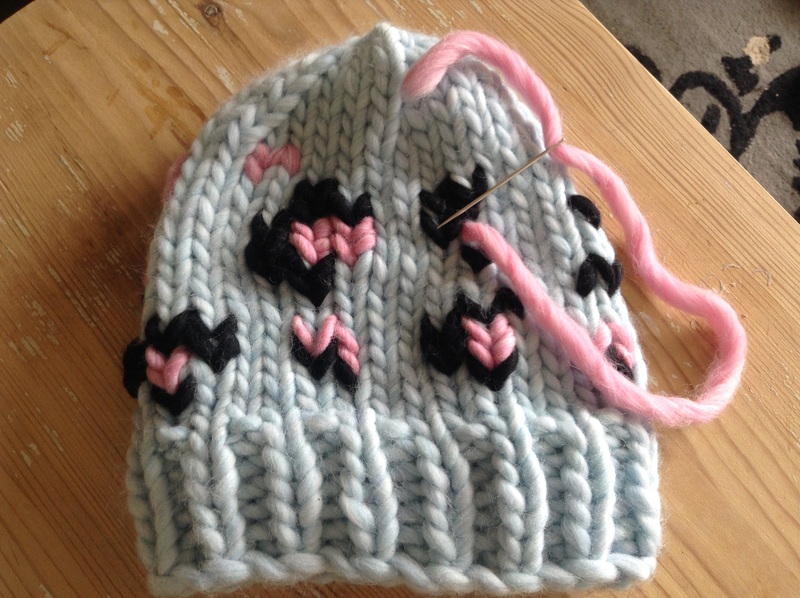 WIPs, Muffs and 50 Shades Of …Pretty! Morning my lovelies! I did a post back in January about the plans I had for makes, so I thought it might be nice to see what happened. Ready? Follow me! 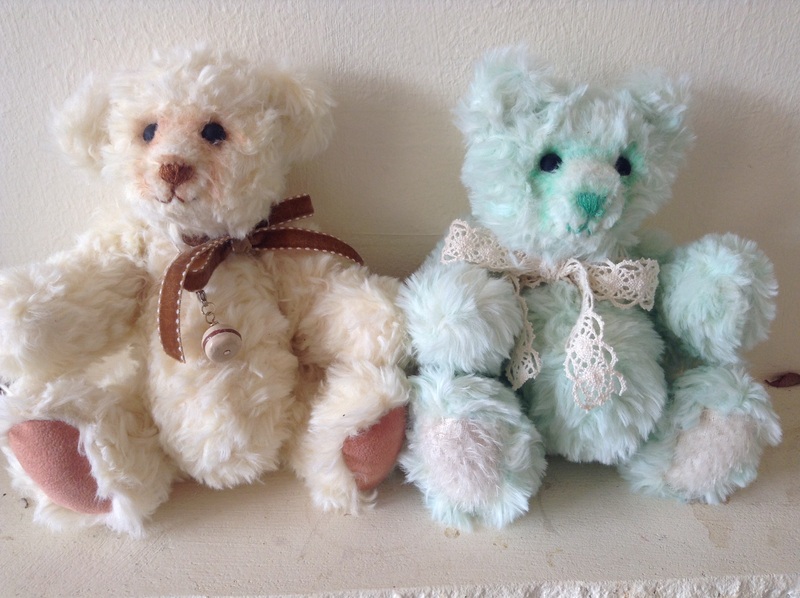 They are called the L’adorable brothers, Vanille and Menthe and if you look really hard Vanille has a little macaron charm that I think I will put on all my bears. 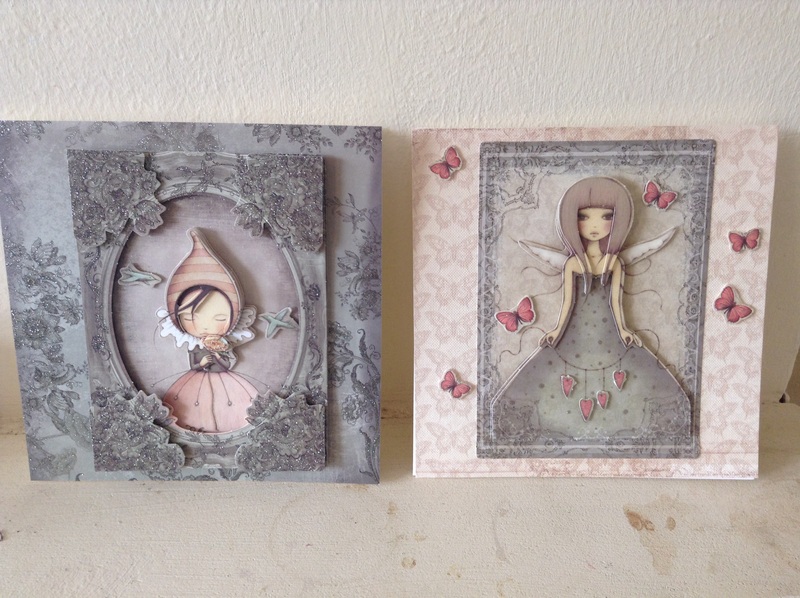 Next a couple of the cards I made from the lovely kit designed by Santoro and available from the Glitter Pot….. I think they are so pretty, and great for teen girls as well as grown ups. 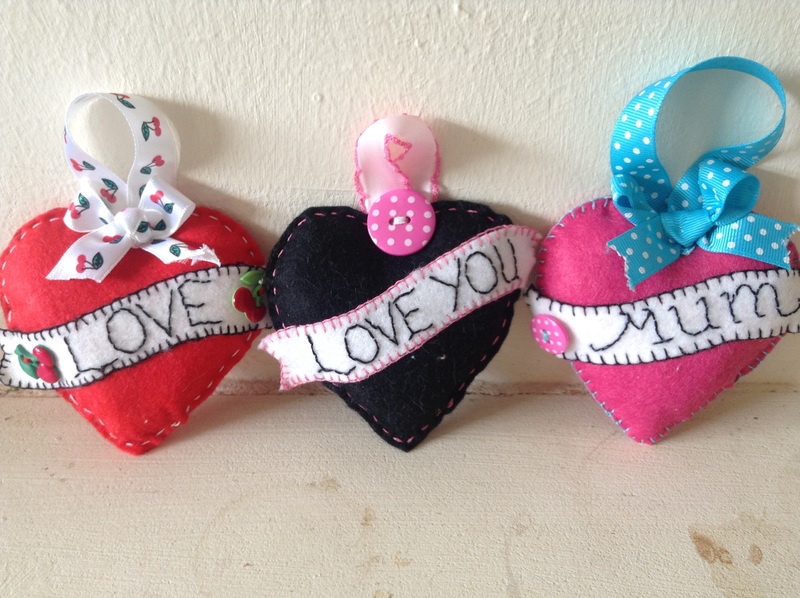 I made these little tattoo hearts from a themed box from Felted Fancies Supplies ( they have a shop on Facebook). 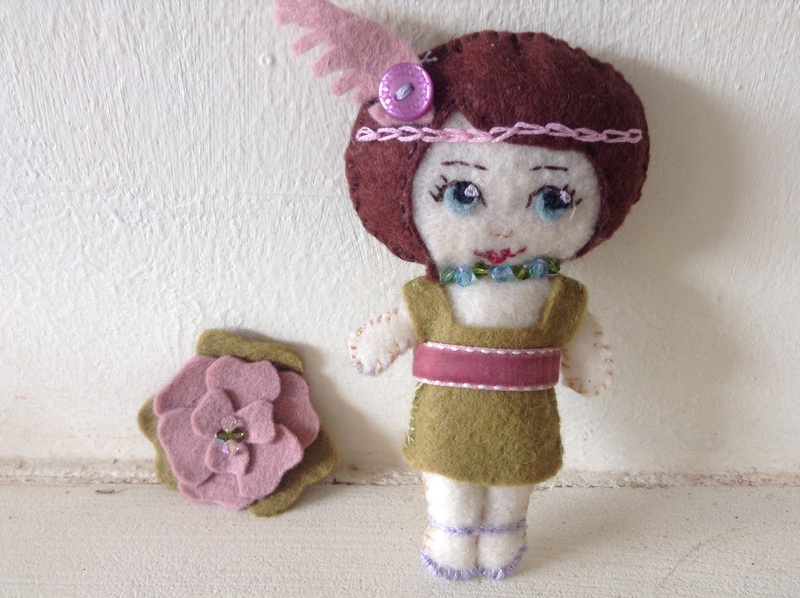 And staying with felt, this little flapper girl is my own design, as is the little brooch. Last felt pierces I promise! 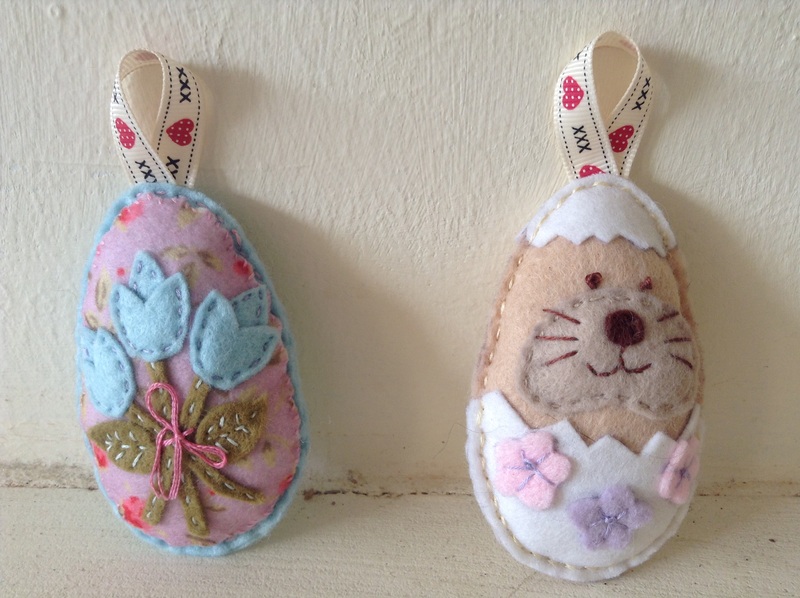 These eggs are made from a pattern by the hugely talented Sew Sweet, find her range of gorgeous patterns on Facebook and at http://www.sewsweet.co.uk. Not bad as the instructions are all in Japanese but definitely need to practice this skill! And finally, I have decided that for next winter I need a muff, No sniggering in the back row please! it seems to me that it will solve the dog walking dilemma of having to remove gloves to pick up poo, dropping glove in said poo.. you get the picture! 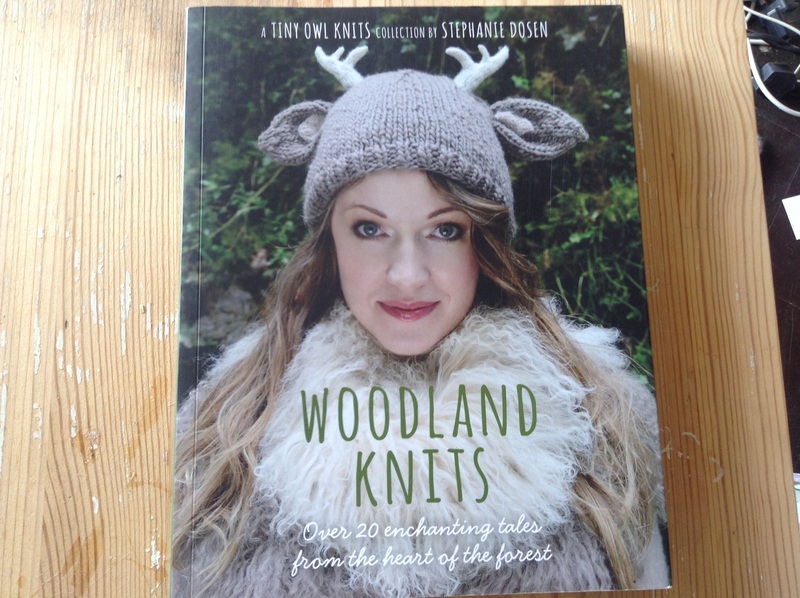 si I am making one from this book……. 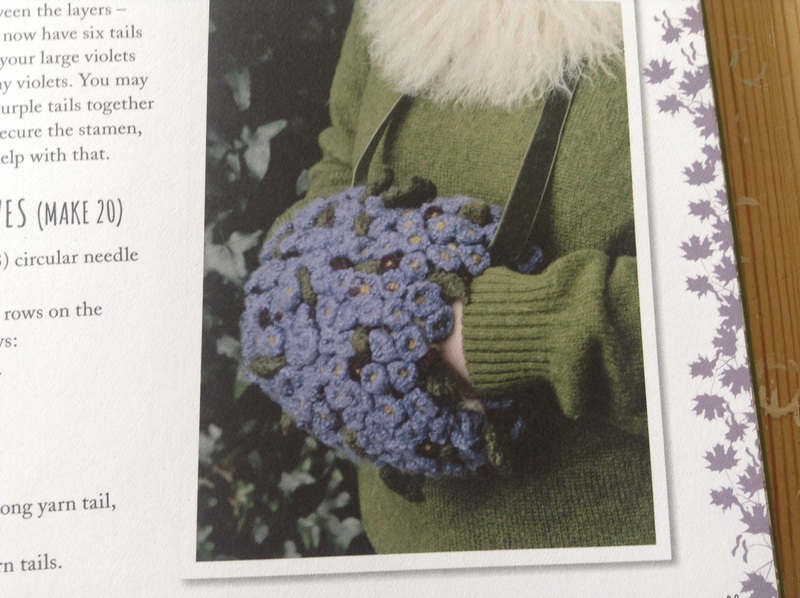 The talented Stephanie Dosen writes the most magical blog on wordpress called Tiny Owl Knits, here’s the violet covered muff that I will be attempting…. And of course I will be painting, I have just finished a portrait of my brother’s children which I completely failed to take a picture of! So, whats going on at your craft table/tray?lap? id love to see what you have going on! 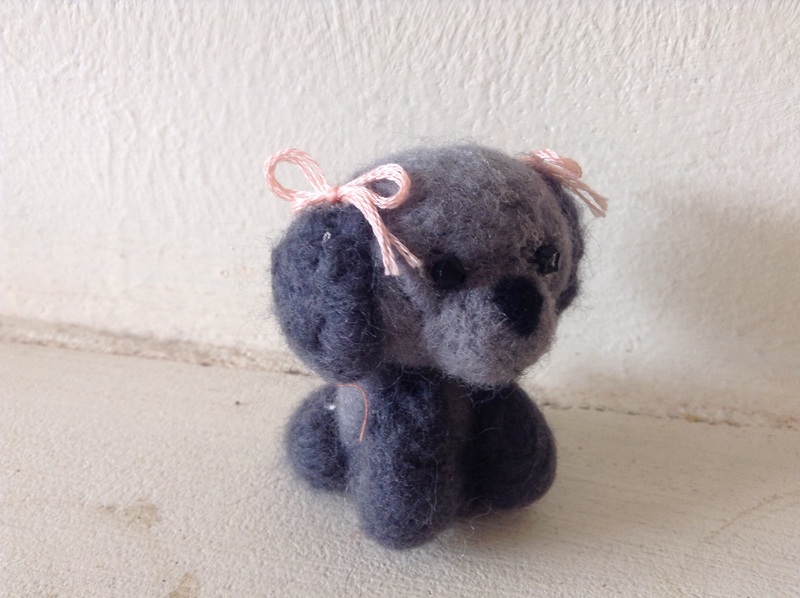 This entry was posted in Uncategorized and tagged bears, cards, craft, Felt, hearts, knitting, needle felting, santoro, tiny owl knits, violets, wooladnthe gang by karenlorenz. Bookmark the permalink.